Description: Kurt Gerhard Penzel was born in 1929 in Gopplasgrün, Germany into a family of bowmakers. The Penzel shop has been began over 100 years ago in Germany. From 1943 to 1946, Kurt Gerhard Penzel began his apprenticeship under his great uncle Emil Max Penzel, who founded the family business. He worked with him for two years after his apprenticeship before crafting bows independently. 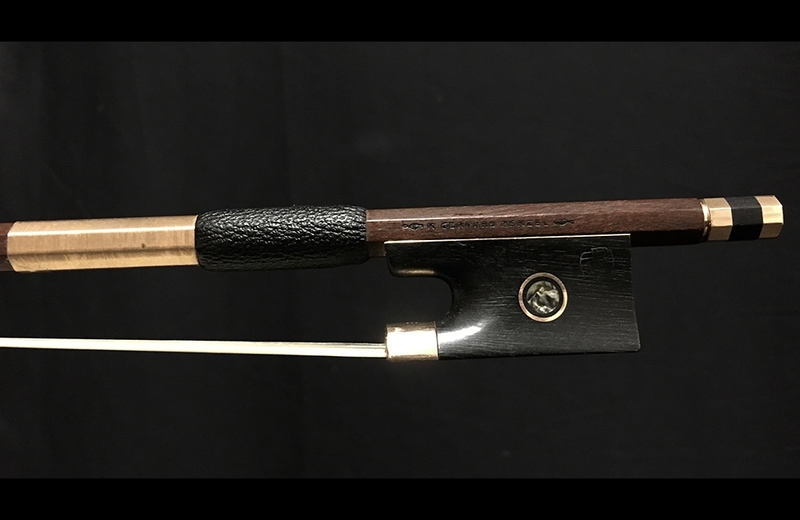 In 1956, Gerhard Penzel completed his master bow makers examination in Stuttgart. In 1969, Gerhard Penzel won a gold medal at Liège for a quartette of bows. Kurt Gerhard Penzel moved his home and workshop to Ostrach, Germany. Bows bearing the name “K. Gerhard Penzel” have earned a reputation for excellence all over the world as demonstrated by the many honors conferred upon them. 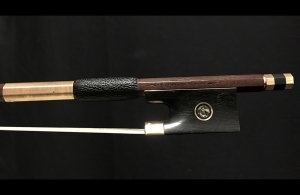 This particular bow is in near mint condition and bears the name “K. Gerhard Penzel”. The octagonal stick is mounted with gold and ebony. The frog has a mother-of-pearl eye encircled by a gold ring on each side. 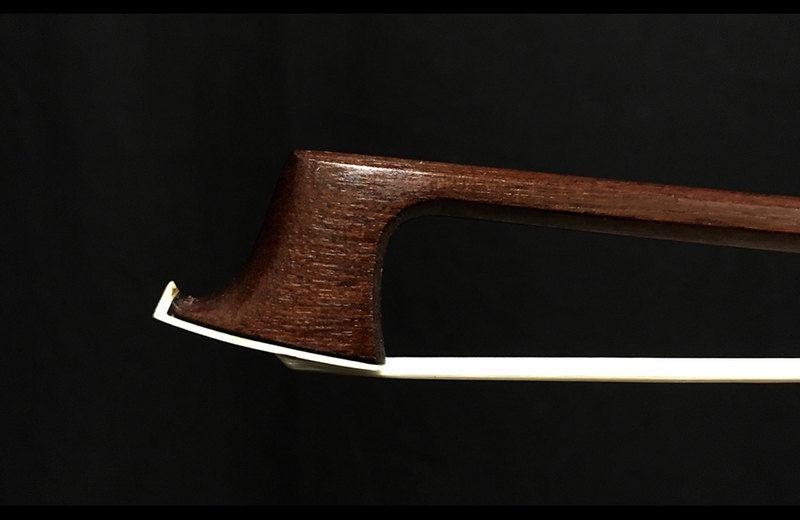 It is expertly balanced and glides across the strings with ease. Weight: 71.3 grams.